There could be any number of issues preventing the reports from showing up. EXM Analytics relies heavily on Sitecore's Analytic system running appropriately, as well as the EXM Master database. The first step is to ensure that the Sitecore's ecosystem for processing analytics isn't broken. This is identified both by looking at Sitecore Analytics as well as the log files for the Processing server and the Content Management server. Looking into Sitecore Analytics, you should see the current values of visits that are more recent than the email that you sent. Looking into logs, there should not be ANY Application Errors in those logs. The Content Delivery server plays a vital role in the ability to record and capture the click and open activity. This includes the files needed for registering clicks and opens, which can be found in \sitecore modules\Web\EXM. Additionally, ensure that EXM is enabled on the Content Delivery server web.config. xConnect plays a role here in the tracking and recording of interaction data within EXM. All sends, opens, and clicks are processed as interactions on the contact record. Any issues with xConnect will result in issues with Analytics. Check out this answer to verify your xConnect implementation. 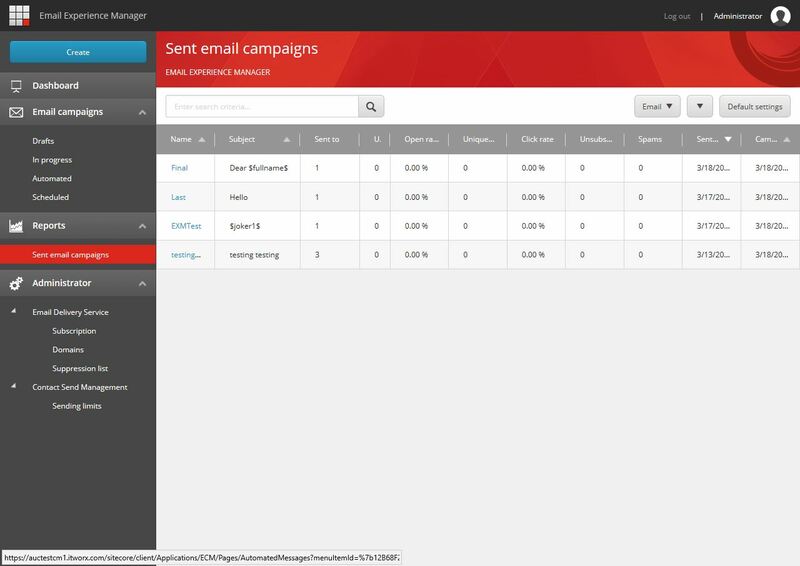 Open up a browser and go to /sitecore/admin/MessageStatistics.aspx on the Content Management server. This will require you to login. Try processing messages from today or this week to see if this makes a difference. These steps above are simple suggestions for figuring out how to troubleshoot. At the end of the day, the root cause is that Sitecore Analytics isn't reporting data. This is a very hard issue to solve online and is usually figured out by just spending lots of time validating the entire implementation of Sitecore. Not the answer you're looking for? Browse other questions tagged xdb xconnect exm or ask your own question.